Wool and alpine sports have a steep history together. In the 1920’s through to the 1950’s when skiing became an Olympic sport it quickly grew in popularity and wool was the fibre of choice on the slopes. 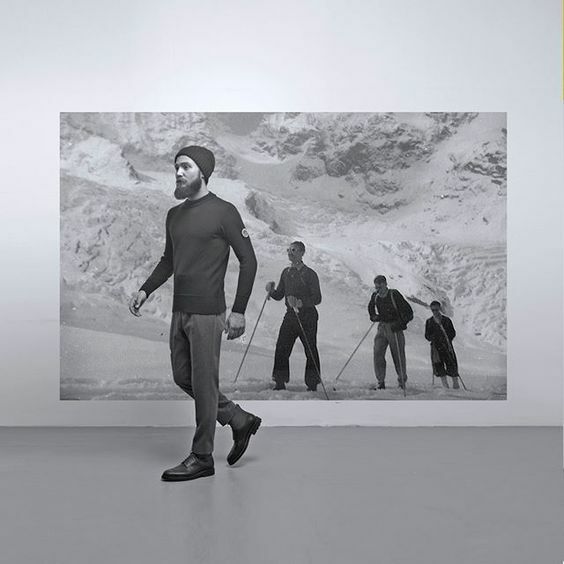 In the 1960’s and 70’s things started changing towards lighter, brighter and man-made fabrics, thanks to the emergence of polyester synthetics but wool has many natural properties that are perfect for alpine sports and these are being rediscovered by a new generation of performance brands. 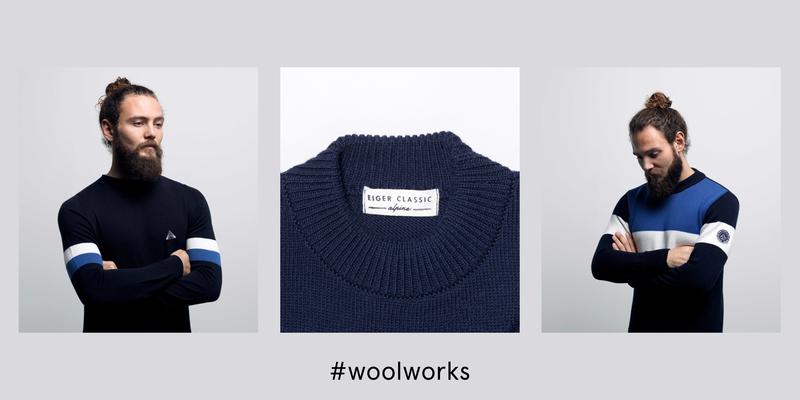 Wool offers natural thermo regulation, keeping you warm when you’re cold and cooling you down when too hot. This is perfect for when you’re on the move skiing or waiting around for lifts. 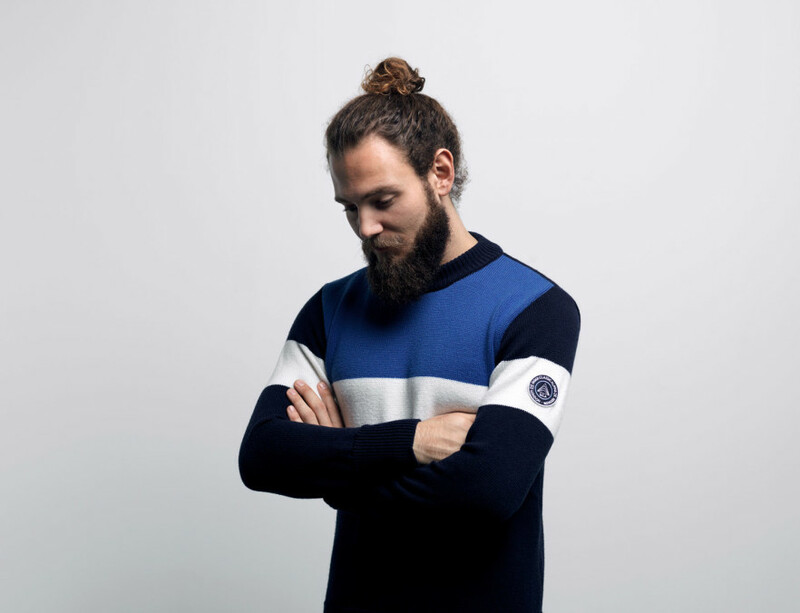 Other properties such as wicking reduce body odour, and wool’s in-built elasticity, from the fibre’s crimp, works as a natural spring to maintain the garments shape against the body. With improvements in knitting technology, wool can be knit in finer weights for next to skin comfort. It not only works brilliantly as a base or mid layer, it offers excellent insulation when used in wadding and can even be worn as outerwear when given waterproof treatments. 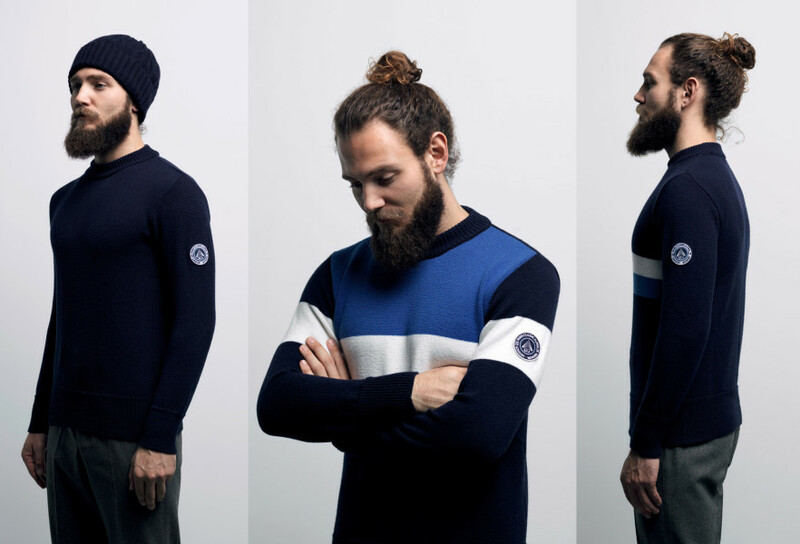 There has been a recent increase in ski and snowboarding brands reintroducing wool and natural fibres into their product ranges, and we really like the brand Eiger Classic with their retro styling and use of Merino Wool. Tell us a bit about the brand and yourselves. How did you two meet? We were in the same halls at university and used to drink in the same pub! These were crazy times when you were meeting loads of people but we bonded over a love of music and films. Tom is now a creative director in advertising and Chris is now a farmer so we have pretty different day-to-day lives. The dream is to be able to concentrate on Eiger Classic full time. What’s the story behind the Eiger Classic brand? The idea came about after we saw a gnarled old ski instructor wearing a 1960’s wool ski jumper and just loved that classic alpine style. 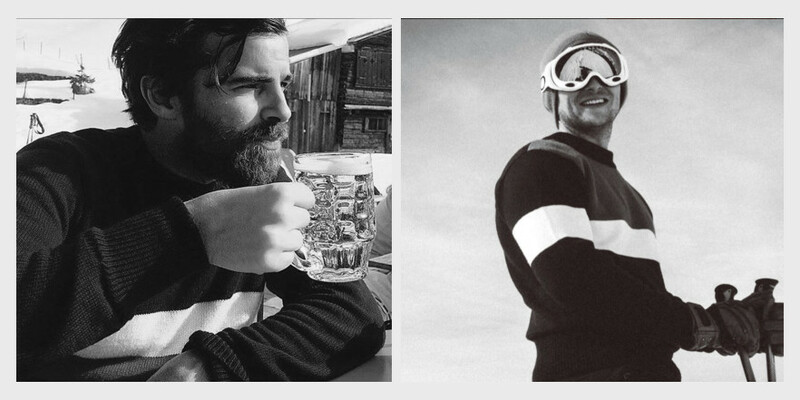 We wanted that jumper, not just to wear for skiing, but to wear when we were back at home. It made us question why people were wearing skintight synthetic base layers and brightly coloured plastic ski jackets that seem so out of place in the mountains. 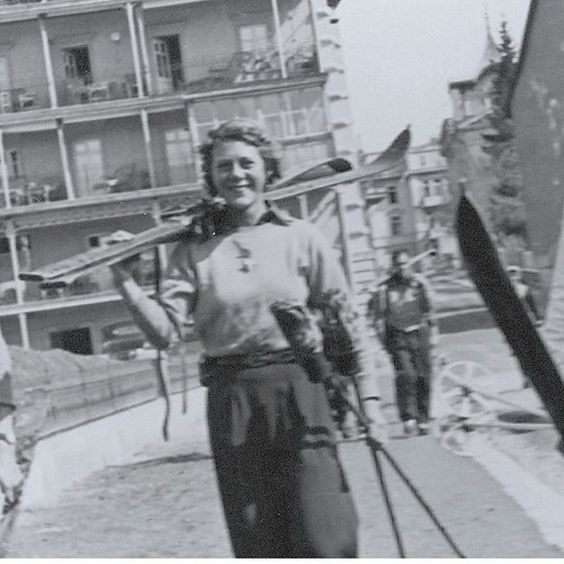 Chris’s granny was an ex British downhill champion (In the 1950’s) and keen amateur photographer and I dug out her old photo albums and was totally inspired. What inspired you to produce a menswear brand? We make clothes we want to wear ourselves! It was a case of, if you can’t find what you are looking for, do it yourself. Why wool? and why Merino? There was never any question of using anything else, once you have worn a Merino wool jumper it would be hard to go back. Performance wise it is antibacterial, non-itchy, regulates temperature so it is warm when it is cold and cool when it is warm, what more could you want? Merino wool is also fully biodegradable so once your trusty jumper comes to an end of its long life you could chuck it on your compost heap and eventually dig it in to your veg patch, what a great life cycle. We want to create clothes that you buy and enjoy wearing for years and we think Merino wool is the best material for the job. How important was making the product here in the UK to you? It makes no sense to us to manufacturer anywhere else, why would you go abroad to manufacture when we have been making fantastic wool products here in the UK for years. We wanted to be able to create a real relationship with our manufacturers and not just be an email address or a voice down the phone. Having no previous experience in the industry we needed to be able to sit down, have a cup of tea and outline our ideas and listen to the experience the manufacturers had to offer. B and B knitwear in Nottingham make our thick knit jumpers and they have been really patient with us as we go backwards and forwards until we are completely happy. What process did you go through to get to the final product? With no previous experience it was pretty daunting starting out. We had an idea and a concept that we really believed in, but turning it into reality with no knowledge of the industry was hard. Our jumper collection grew considerably as we researched different fits and knits. We are both a little weird about everything being perfect, right down to the tiniest detail, everything just has to sit right with both of us otherwise we can’t proceed. Is this your first venture into clothing and wool production? What are your plans for the next collection? Yes. We have just launched three new beanies and we have two new jumpers available soon. They are a slightly more relaxed fit and have a more retro feel to them. 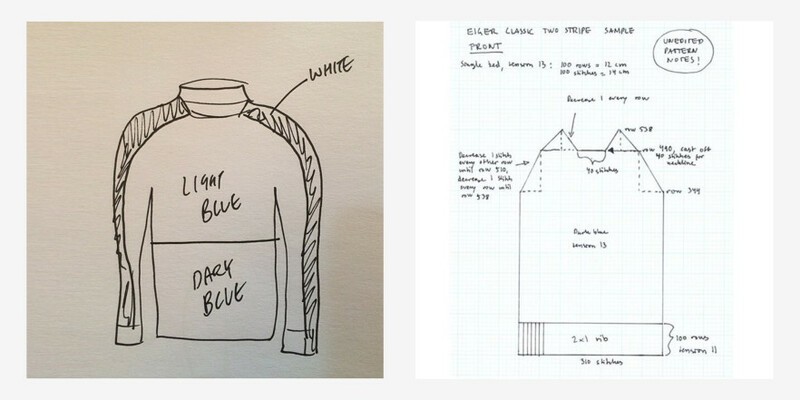 In the future we would love to do a collaboration with McNair who make mountain jackets out of Merino wool. Their mountain shirts are amazing and they look like they have the same ethos as us, so we think it would be a perfect fit, no pun intended. What (if any) restrictions have you found with building a brand from scratch? From a production side of things finding manufacturers that would do small enough minimum orders for a start up was restrictive. Also having no previous knowledge of the industry made every step a challenge. We now have a product range that we are really happy with but it is a case of getting ourselves known which is very difficult on a limited budget. We have recently started working with a marketing agency The Yellow Table who have been awesome, so hopefully our profile will continue to grow. What tips would you give to anyone else thinking of starting a menswear collection? Stay true to your original concept, don’t cut corners and be your own best customer. Who would you like to see wearing Eiger Classic clothing? Idris Elba, he is flipping cool and we love Luther. Dave Riding, the British slalom skier who recently came second in a world cup slalom, which is the best result by a British skier for 35 years. An incredible achievement! Prince Charles, as we hear he is a fan of wool! Chris’s brother, Nelson Pratt was a professional snowboarder so we have links with both sports.